Aura Alvarado is the Director of Communications & Community Relations for Capitol Region Education Council in Hartford. She is well known, both within CREC and in the Greater Hartford neighborhoods, for promoting collaboration and for facilitating community action and making sure things get done. Before joining CREC, Alvarado served as the Director of Community/Public Relations and Events for The Learning Corridor Corporation. In this capacity, she handled all event requests for the Learning Corridor campus, which involved doing event preparation, contract negotiation, account management, and a host of other related tasks. She also coordinated community and public relations, such as overseeing press coverage and event marketing. Her work with CREC began in 2001, when it assumed management of The Learning Corridor campus. Recognizing her hard work, talent, and community involvement, she moved to CREC's central office to become Manager of Special Projects in 2004, working directly for the Executive Director. In order to better utilize her status within the Greater Hartford community and experience with public relations, Alvarado's responsibilities were broadened again in 2005 when she became CREC's Director of Community Relations & Special Projects. She assumed her current role as Director of Communications & Community Relations in 2010. As Communications Director, Alvarado has supervised all of CREC's public interactions, from overseeing the design and distribution of basic event flyers and making local radio appearances to coordinating CREC's enormous annual meetings and most recently implementing a comprehensive re-branding strategy. In 2014, Alvarado was named CREC's manager of the year. Throughout her tenure in the professional Communications and Community Relations field, Alvarado has also been continuously involved in her own community, serving on multiple boards and committees and having received numerous awards for her outstanding community service. 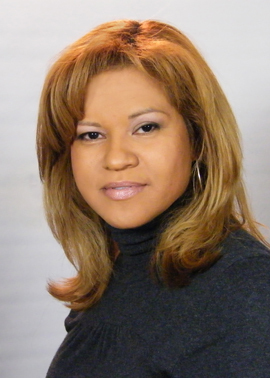 She is very involved with the board of directors of the Boys & Girls Club of Hartford, and is a past president of the board at the CT Institute for Community Development Puerto Rican Parade Inc. She is currently the president of the board at the Knox Foundation. Alvarado has a bachelor of science degree in business management, and a master of science in management, both from Albertus Magnus College. She is also a graduate of the Leadership Greater Hartford Quest Program and the American Leadership Forum. She currently resides in Windsor, CT with her two sons, both of whom attend CREC's Metropolitan Learning Center.